Connecting nut for threaded bar, allowing 2 bars to be joined. 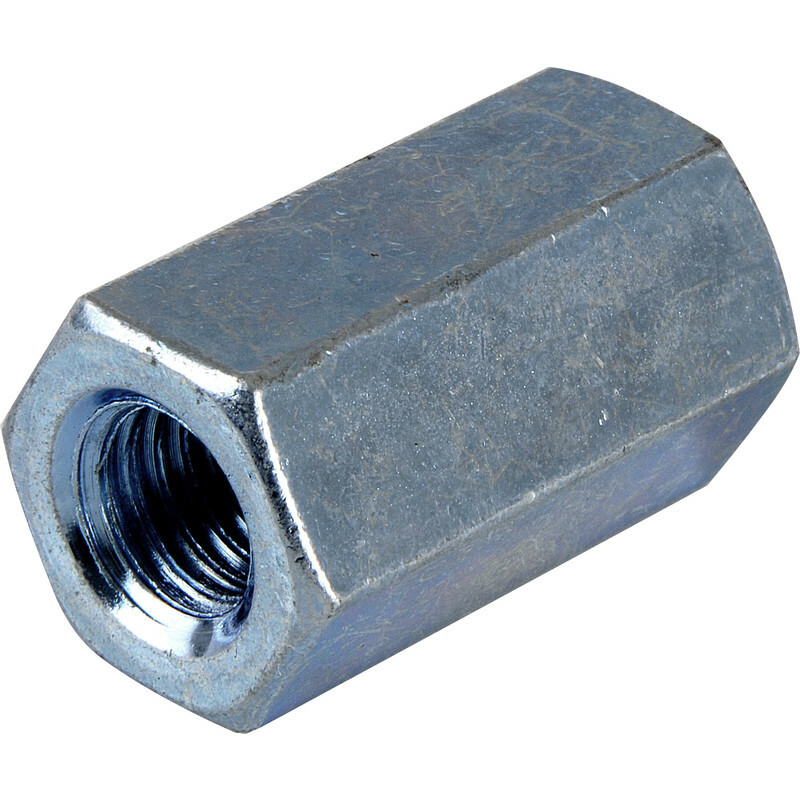 Connector Nut M6 (10 Pack) is rated 4.8 out of 5 by 12. Rated 5 out of 5 by Spotty 1950 from Good value for price. A nut is a nut, but a good size nut. Rated 5 out of 5 by diydad1 from Connector Nut Good quality/value connector nut Took some finding as I always called them barrel nuts. Rated 5 out of 5 by Monkeyman from Connector Nut I found these connectors to be of very good value. Did the job. Rated 5 out of 5 by Wiltshire Bill from Great for a special job These were an ideal replacement for some special nuts used to secure a roof rack. Much cheaper than proprietary replacements.